After our very low key wine tasting in Beaune, we made our way to Nice to explore the French Riviera and get some relaxing beach time. For this stay we used HomeAway and found an adorable place that was just outside the main downtown area. Upon our arrival it was high seventies and sunny, so we made sure to soak it all in and explore as much as we could. After doing some light research on the fly (we didn't plan much ahead for this part of the trip), we decided to hike to the top of Castle Hill to take in the views. Really beautiful scenery and a great day to just stroll. We were also very humbled to walk down the Promenade des Anglais and take in the memorial from loved ones mourning the loss of family and friends from the truck attack in 2016. The Promenade is a beautiful pathway that's right along Nice's waterfront, great for people watching and just taking in the scenery. We climbed down a ladder to the beach and laid out on the rocks (which really weren't that comfortable, but when in Nice!) and Chris spotted a bottle floating in the middle of the water (the Baie des Anges), slowly making it's way to shore. We couldn't help but chase after it and to our utter joy it was a message in a bottle! We immediately opened it up only to find a message written in french that neither of us understood. Either way a very cool experience. I mean who finds a message in a bottle, this is movie stuff guys. One of my favorite parts of Nice is Old Town, an area with loads of charm, colorful facades and adorable shops. It felt truly European and an easy way to spend the day popping into shops and getting (lots of) gelato along the way. Before I move on to a few day trips we took, I must mention one of my favorite little cafes in all of our travels throughout Europe: Le Bistroy. Such delicious french toast with lime zest and scrambled eggs! A must try if you are in Nice, seriously. We went twice. After spending a few days in Nice we decided to venture out to Eze, a mountaintop village, for a day trip. I'd heard amazing things and all of them proved to be true. Charming, ecclectic, artful, lush - an absolute love! I wish we'd had more time here. Since we had limited time, we started to traverse to the Jardin Exotique d’Èze , the main reason I wanted to visit Eze. a garden at the top of the mountain that overlooks the entire village. The journey to the top was filled with narrow pathways, adorable shops, and charming nooks everywhere we looked. As we reached the top, we walked through a fantastic restaurant, the deli, which was small, cozy and everything you'd want to enjoy after a short hike up a mountain. We had to bypass it to begin with in order to make it to the garden, only to find out the garden closed at 4pm. It was 4:01pm when we arrived, and the rules were strict. We weren't getting in. Dreams. Crushed. All I have is this desperate photo looking through the gates to what would've been a glorious experience. However, let's talk about the good news. We got to spend the rest of the day sipping wine at the Deli, hanging out with the owner (who is an amazing human being) and eating delicious sandwiches. We were also graced with the presence of two early twenty-something back packers of whom we bestowed our thirty-something wisdom upon. It's one of my favorite memories of our entire trip, the simple experience of spending the day in this little oasis on top of a mountain in Eze, wine in hand, good conversations, and complete peace. We walked away with a few bottles of their olive oil, which we still have till this day. The mountainous paths of Eze are filled with garden statues and a quiet serenity that evokes reflection. Nietzsche Path is another popular attraction that many venture on, if we only had the time! We also made it to Monaco for a day, but the weather was miserable and we didn't really plan much. I just remember a ton of yachts and checking out Prince's Palace. Nothing overly memorable, but I'm sure with some planning and better weather it's a lovely place to spend your time. 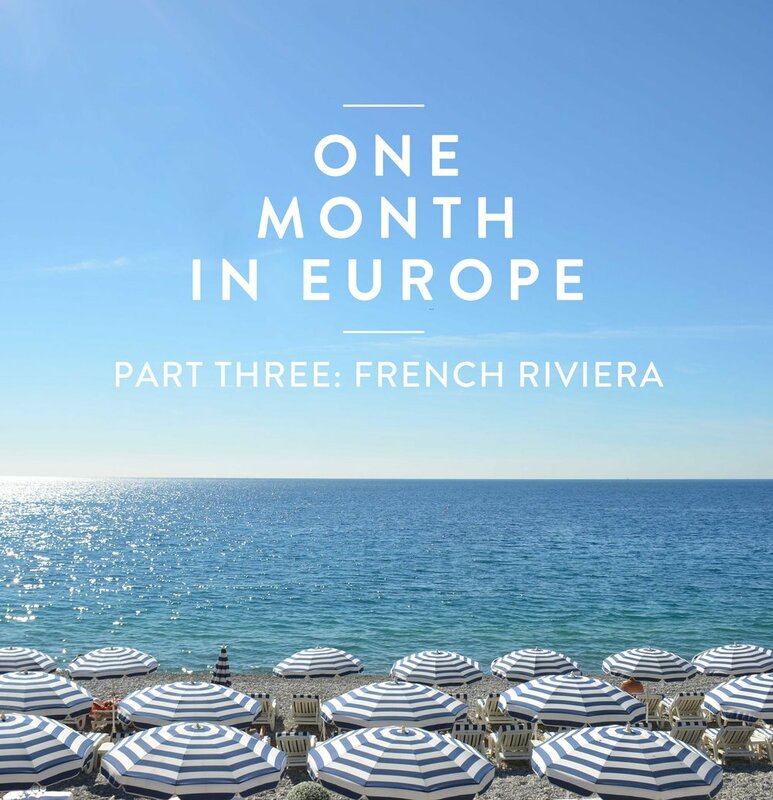 We loved the French Riviera but after 4 full days we were ready to head to our next country, Italy! In my next posts I'll explore our time in Florence, Rome, and the Amalfi coast. Thanks for reading! Hello all! It's been a while since I've captured one of our journeys, so I thought I'd report back on our trip to Palm Springs back in February 2018. Living in Chicago is particularly challenging in December, January, and February - so a short escape to warmer climates was in order. 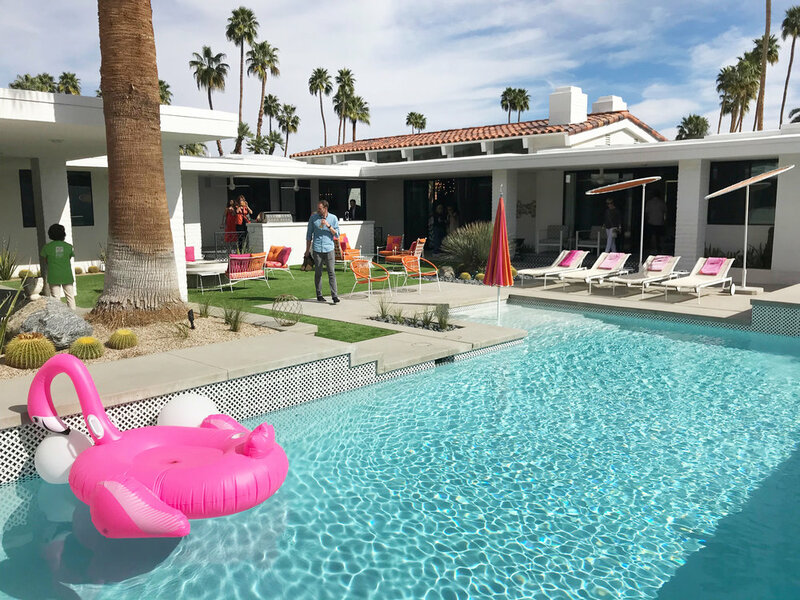 Since architecture and design is our jam, we thought we'd go to Palm Springs during Modernism Week to take advantage of some home tours. It also happened to land on Valentines day, so it was a perfect time for a break. We stayed at the Ace Hotel which was a great place to chill out at the pool and eat really delicious brunches at King's Highway. Also, just something we noticed - the line chefs at King's highway are really something. We sat at the counter during rush time and have to say they are one hell of a team. We lucked out and were in the midst of perfect temperature - between 72 and 77 degrees the entire time we were there. It definitely cooled down at night and I had to wear a jacket, but the sun was strong during the day so no complaints from me. On our second day, we decided to do an early hike. One of our Uber driver's recommended Tahquitz Canyon - which was about an hour long and to be honest, almost a little too short and easy. It was near the downtown area, so simple to get to as well. Later on, another Uber driver told us that was a good hike for families with young kids, so we definitely didn't really challenge ourselves. Needless to say it was really nice just to get out in the early sun and get some fresh air in the early morning. The other hike mentioned to us during our stay was Indian Canyons. In hindsight, that probably would have been a better fit for us. 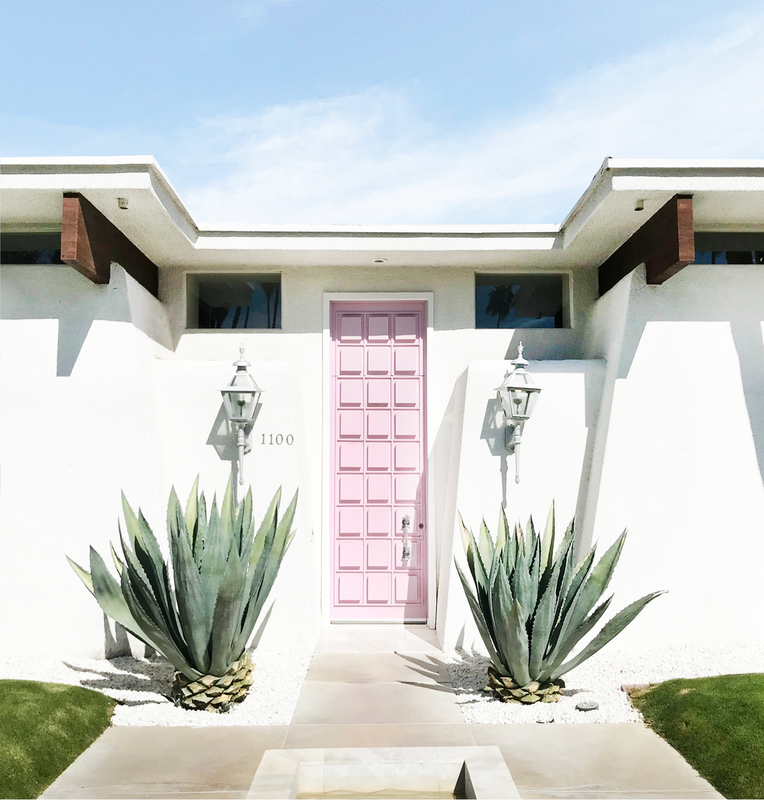 Prior to arriving, I purchased three tickets for Modernism Week: Two home tours (Moroccan Modern House and Steel & Glass) as well as a bike door tour. We didn't want to overdo it, but definitely wanted to check out some of the mid-century modern architecture. The Moroccan Modern House was first and possibly my favorite of the three. Bright Textures, interesting patterns, and thoughtful design encapsulated this beauty. We also visited Steel and Glass, and while it was cool to see, we were definitely a bit underwhelmed. 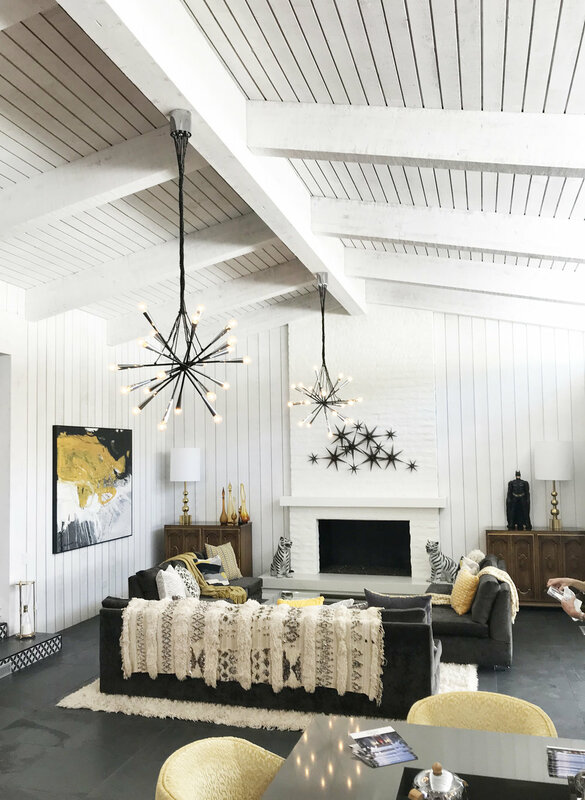 It lacked the character and wow factor of the Moroccan Modern House. Our last tour of the trip was the Palm Springs Bike tour, which was another really fun tour filled with my obsession, DOORS! (Check out my Instagram account for proof, @adorabledoorways). We were given a map of some of the best front doors in the Palm Springs area and sped off on our bikes to see them. During our stay we also checked out Counter Reformation for tapas and wine at The Parker Hotel. This hotel is a must visit when you are in Palm Springs, as the design and grounds are breathtaking. They have 3 different restaurants - Norma's for brunch, Mister Parker's for dinner, and Counter Reformation for small plates and wine. While I loved Counter Reformation, it was pretty small so get there early to secure a seat. We also went at night which was fun, but I do wish I was able to see the hotel and the lush pathways during the light of day! Four Saints at the top of the Kimpton hotel in downtown Palm Springs was also fantastic, Farm for brunch was charming as well as El Jefe for a casual taco night. I had The Pantry on my list for brunch (at a new boutique hotel, Holiday House) but we weren't able to squeeze it in. 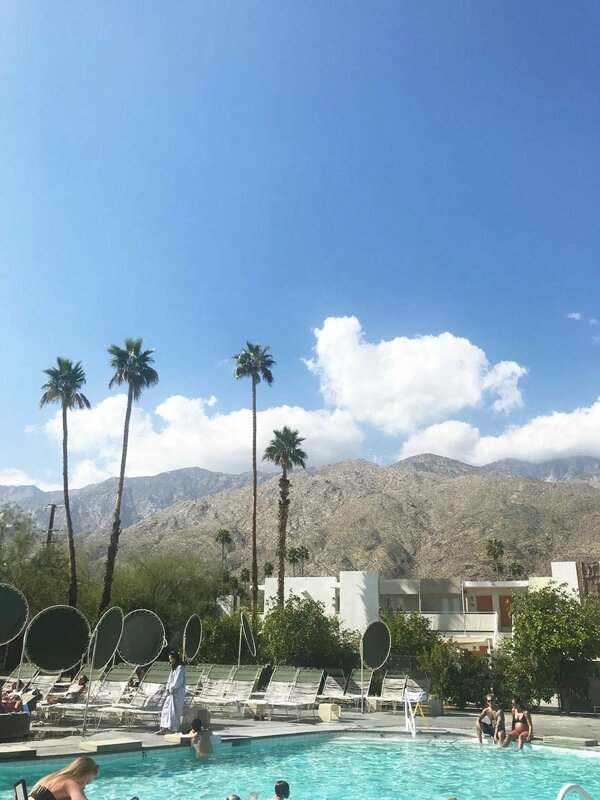 Overall absolutely loved Palm Springs and would recommend it to anyone for a low-key, sun drenched weekend.